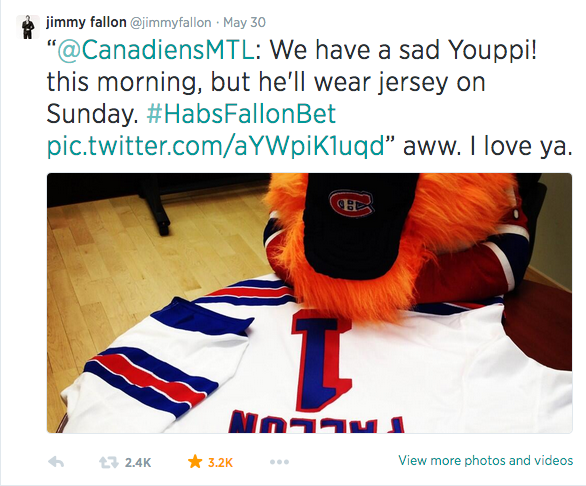 It was only a couple weeks back when we had wrote about the bet that Tonight Show host, Jimmy Fallon had made with the Montreal Canadiens of the NHL. The Canadiens were facing Jimmy’s home town team, the New York Rangers. The winner of the series, would go on to the 2014 Stanley Cup Finals! The bet was made over twitter (read all about it here) and quickly gained a life of it’s own, with hockey players, celebrities and of course, Jimmy Fallon himself, getting in on the Twitter rivalry during every game. The wager was simple. If the Montreal Canadiens won, Jimmy Fallon would have to wear a Montreal Canadiens jersey throughout an opening monologue. 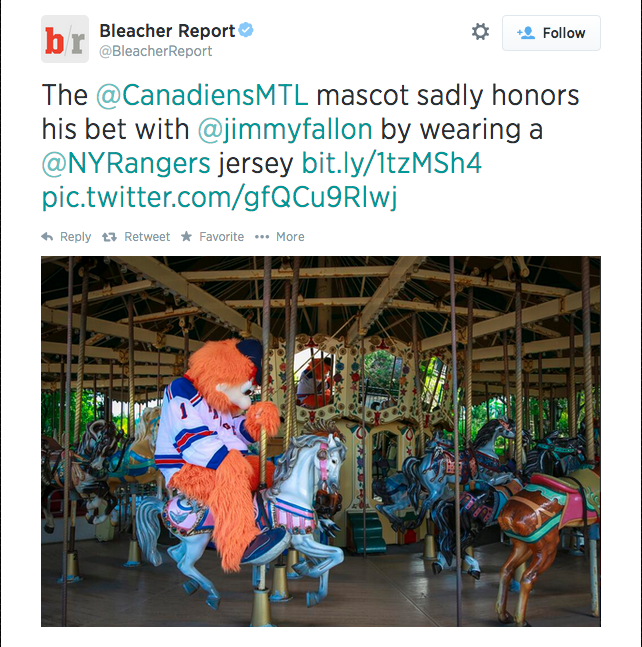 If the New York Rangers won, the Canadiens mascot would have to wear a personalized Jimmy Fallon hockey jersey and be photographed in certain parts of the city. Also, the Canadiens Twitter avatar would be changed to a picture of Fallon (his choosing of course) for a day. 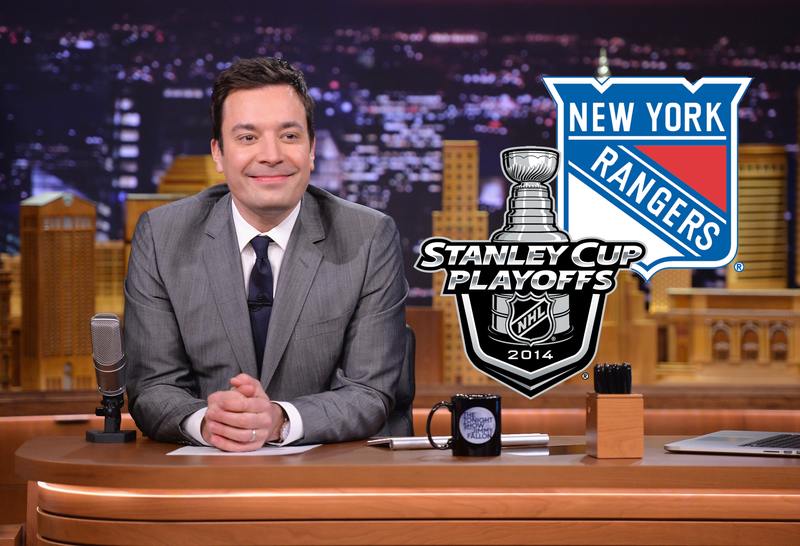 Jimmy can keep wearing his nicely fitted suits, as his beloved New York Rangers beat the Montreal Canadiens in Game 6 to advance to the 2014 Stanley Cup Finals. Check out tweets from Jimmy and the Canadiens official Twitter account below to see how it all went down. « ‘FROZEN’ BECOMES 5TH HIGHEST-GROSSING FILM EVER!